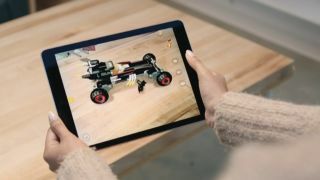 Developers now have a new tool to help make augmented reality experiences on Apple products look better than ever – and it should mean you'll soon have even greater AR on your iPhone and iPad. The app is called ARKit, and will allow developers to create experiences with "fast and stable motion tracking" which should work better than you're used to with Pokemon Go or Snapchat Lenses. It makes use of the tech inside your iPhone or iPad to create augmented reality experiences especially for your mobile devices. It uses the camera, CPU, GPU and motion sensors of your phone or iPad to make sure the AR is both fast and stable. It uses ambient light for rendering, and uses those motion sensors to find floors and tables to place items in the virtual world. Apple has also confirmed it will allow developers to integrate third-party frameworks to allow for even more varied experiences. This will improve how Pokemon Go works on your iPhone, but it should also encourage developers to create more AR experiences for Apple devices too. On stage at WWDC, Apple showed a fairly simple use for ARKit but promised that more complex experiences could also be managed. For example, Sir Peter Jackson’s studio Wingnut AR showed a much more advanced augmented reality landscape made in Unreal Engine, which ARKit supports alongside Unity and SceneKit. The demo will apparently be released as a proper game "later this year". Apple AR Kit will come with iOS 11 when it launches later this year, but developers will be able to start using the ARKit soon.